- there is a good chance we may have met the challenge successfully before. 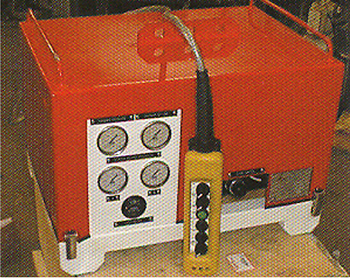 Integrates the HPH Hydraulic Hammer range wih a vast array of hydraulic power sources e.g. crawler crane, power packs etc, with minimum installation effort. Unit requires a 24V/5A power supply. All Dawson hammers can be set up to operate under water in depths of excess of 100 m.